1. I have vivid memories of the wonderful moments we shared in Rome during the Jubilee of the Year 2000, when you came on pilgrimage to the Tombs of the Apostles Peter and Paul. In long silent lines you passed through the Holy Door and prepared to receive the Sacrament of Reconciliation; then the Evening Vigil and Morning Mass at Tor Vergata were moments of intense spirituality and a deep experience of the Church; with renewed faith, you went home to undertake the mission I entrusted to you: to become, at the dawn of the new millennium, fearless witnesses to the Gospel. By now World Youth Day has become an important part of your life and of the life of the Church. I invite you therefore to get ready for the seventeenth celebration of this great international event, to be held in Toronto, Canada, in the summer of next year. It will be another chance to meet Christ, to bear witness to his presence in today’s society, and to become builders of the "civilization of love and truth". 2. "You are the salt of the earth... You are the light of the world" (Mt 5:13-14): this is the theme I have chosen for the next World Youth Day. The images of salt and light used by Jesus are rich in meaning and complement each other. In ancient times, salt and light were seen as essential elements of life. "You are the salt of the earth..." . One of the main functions of salt is to season food, to give it taste and flavour. This image reminds us that, through Baptism, our whole being has been profoundly changed, because it has been "seasoned" with the new life which comes from Christ (cf. Rom 6:4). The salt which keeps our Christian identity intact even in a very secularized world is the grace of Baptism. Through Baptism we are re-born. We begin to live in Christ and become capable of responding to his call to "offer [our] bodies as a living sacrifice, holy and acceptable to God" (Rom 12:1). Writing to the Christians of Rome, Saint Paul urges them to show clearly that their way of living and thinking was different from that of their contemporaries: "Do not be conformed to this world, but be transformed by the renewal of your mind, that you may discern what is the will of God, what is good and pleasing and perfect" (Rom 12:2). For a long time, salt was also used to preserve food. As the salt of the earth, you are called to preserve the faith which you have received and to pass it on intact to others. Your generation is being challenged in a special way to keep safe the deposit of faith (cf. 2 Th 2:15; 1 Tim 6:20; 2 Tim 1:14). Discover your Christian roots, learn about the Church’s history, deepen your knowledge of the spiritual heritage which has been passed on to you, follow in the footsteps of the witnesses and teachers who have gone before you! Only by staying faithful to God’s commandments, to the Covenant which Christ sealed with his blood poured out on the Cross, will you be the apostles and witnesses of the new millennium. 3. "You are the light of the world...". For those who first heard Jesus, as for us, the symbol of light evokes the desire for truth and the thirst for the fullness of knowledge which are imprinted deep within every human being. When the light fades or vanishes altogether, we no longer see things as they really are. In the heart of the night we can feel frightened and insecure, and we impatiently await the coming of the light of dawn. Dear young people, it is up to you to be the watchmen of the morning (cf. Is 21:11-12) who announce the coming of the sun who is the Risen Christ! The light which Jesus speaks of in the Gospel is the light of faith, God’s free gift, which enlightens the heart and clarifies the mind. "It is the God who said, ‘Let light shine out of darkness’, who has shone in our hearts to give the light of the knowledge of the glory of God on the face of Christ" (2 Cor 4:6). That is why the words of Jesus explaining his identity and his mission are so important: "I am the light of the world; whoever follows me will not walk in darkness, but will have the light of life" (Jn 8:12). Our personal encounter with Christ bathes life in new light, sets us on the right path, and sends us out to be his witnesses. This new way of looking at the world and at people, which comes to us from him, leads us more deeply into the mystery of faith, which is not just a collection of theoretical assertions to be accepted and approved by the mind, but an experience to be had, a truth to be lived, the salt and light of all reality (cf. Veritatis Splendor, 88). In this secularized age, when many of our contemporaries think and act as if God did not exist or are attracted to irrational forms of religion, it is you, dear young people, who must show that faith is a personal decision which involves your whole life. Let the Gospel be the measure and guide of life’s decisions and plans! Then you will be missionaries in all that you do and say, and wherever you work and live you will be signs of God’s love, credible witnesses to the loving presence of Jesus Christ. Never forget: "No one lights a lamp and then puts it under a bushel" (Mt 5:15)! Just as salt gives flavour to food and light illumines the darkness, so too holiness gives full meaning to life and makes it reflect God’s glory. How many saints, especially young saints, can we count in the Church’s history! In their love for God their heroic virtues shone before the world, and so they became models of life which the Church has held up for imitation by all. Let us remember only a few of them: Agnes of Rome, Andrew of Phú Yên, Pedro Calungsod, Josephine Bakhita, Thérèse of Lisieux, Pier Giorgio Frassati, Marcel Callo, Francisco Castelló Aleu or again Kateri Tekakwitha, the young Iroquois called "the Lily of the Mohawks". Through the intercession of this great host of witnesses, may God make you too, dear young people, the saints of the third millennium! 4. Dear friends, it is time to get ready for the Seventeenth World Youth Day. I invite you to read and study the Apostolic Letter Novo Millennio Ineunte, which I wrote at the beginning of the year to accompany all Christians on this new stage of the life of the Church and humanity: "A new century, a new millennium are opening in the light of Christ. But not everyone can see this light. Ours is the wonderful and demanding task of becoming its ‘reflection’" (No. 54). Yes, now is the time for mission! 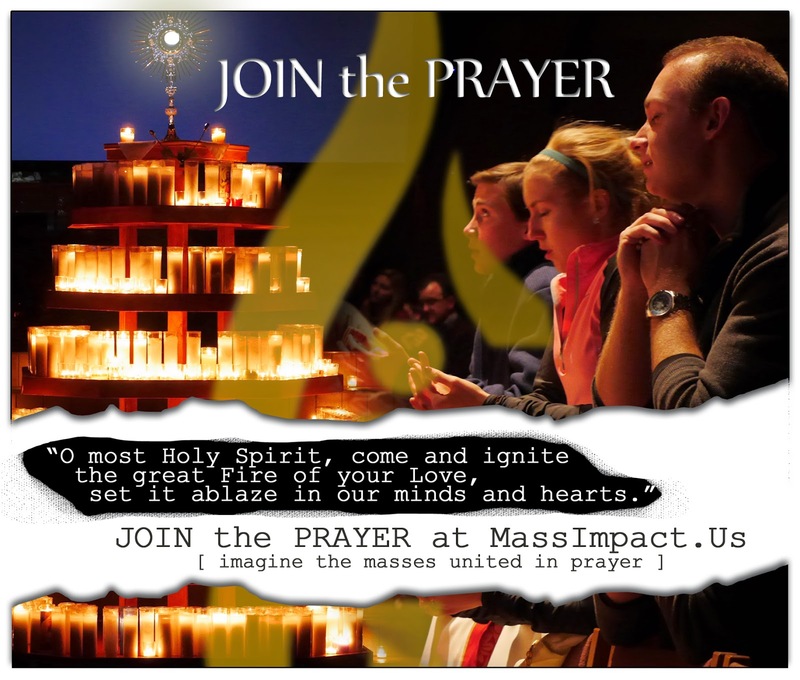 In your Dioceses and parishes, in your movements, associations and communities, Christ is calling you. The Church welcomes you and wishes to be your home and your school of communion and prayer. Study the Word of God and let it enlighten your minds and hearts. Draw strength from the sacramental grace of Reconciliation and the Eucharist. Visit the Lord in that "heart to heart" contact that is Eucharistic Adoration. Day after day, you will receive new energy to help you to bring comfort to the suffering and peace to the world. Many people are wounded by life: they are excluded from economic progress, and are without a home, a family, a job; there are people who are lost in a world of false illusions, or have abandoned all hope. By contemplating the light radiant on the face of the Risen Christ, you will learn to live as "children of the light and children of the day" (1 Th 5:5), and in this way you will show that "the fruit of light is found in all that is good and right and true" (Eph 5:9). 5. Dear young friends, Toronto is waiting for all of you who can make it! In the heart of a multi-cultural and multi-faith city, we shall speak of Christ as the one Saviour and proclaim the universal salvation of which the Church is the sacrament. In response to the pressing invitation of the Lord who ardently desires "that all may be one" (Jn 17:11), we shall pray for full communion among Christians in truth and charity. Come, and make the great avenues of Toronto resound with the joyful tidings that Christ loves every person and brings to fulfilment every trace of goodness, beauty and truth found in the city of man. Come, and tell the world of the happiness you have found in meeting Jesus Christ, of your desire to know him better, of how you are committed to proclaiming the Gospel of salvation to the ends of the earth! The young people of Canada, together with their Bishops and the civil authorities, are already preparing to welcome you with great warmth and hospitality. For this I thank them all from my heart. May this first World Youth Day of the new millennium bring to everyone a message of faith, hope and love! My blessing goes with you. And to Mary Mother of the Church I entrust each one of you, your vocation and your mission.